Flutterbucks is the most recently renovated space within the grounds of Flutterbies. With Huon pine table tops, polished concrete & Chesterfield lounges, the guys at Coffee Alchymists provide you with a Melbournesque vibe whilst sampling their single origin roast of the week. On Friday nights the space transforms into a family friendly Pizza House with regional artists performing acoustic music every week and The Gin Bar in full swing! 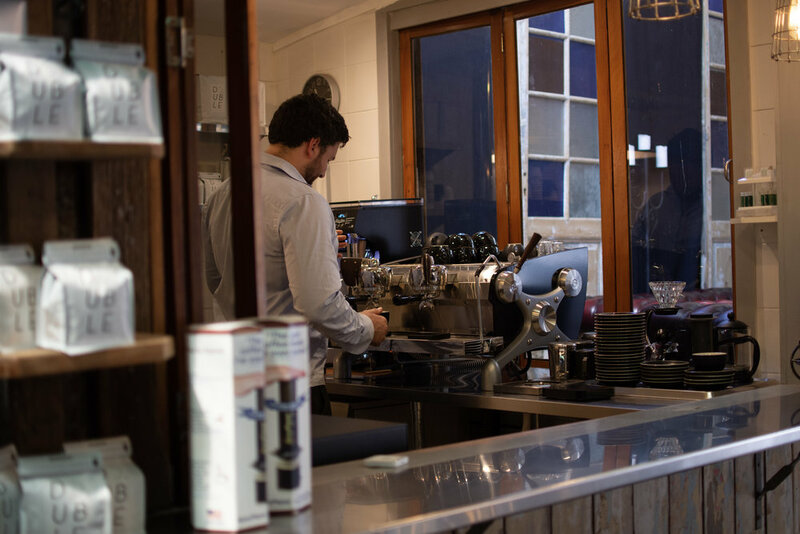 The Slayer Coffee Machine is the creme de la creme of coffee machines & help deliver every cup of excellence!